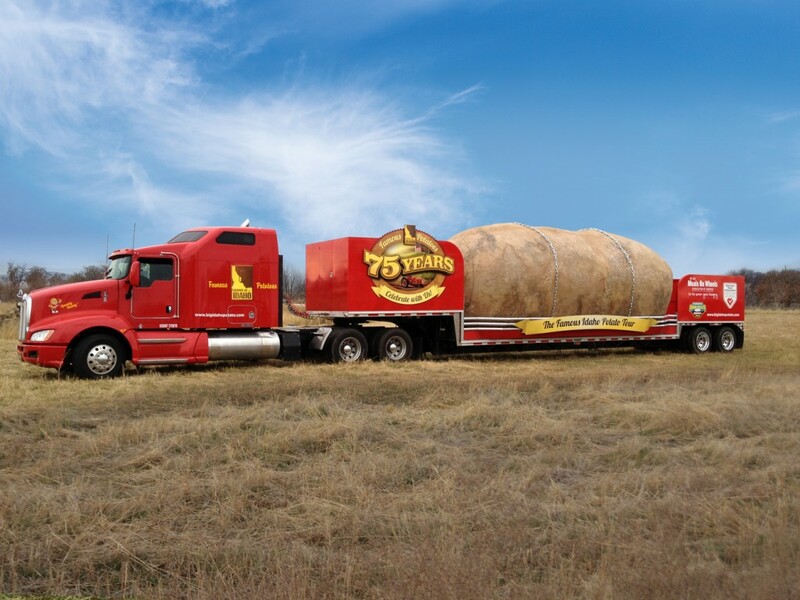 If you think you saw a giant potato on wheels trucking down the road this weekend you were not hallucinating! It was real. Well, your vision was real…not the potato. Schofield Design in Weiser, Idaho, did such a great job constructing this radical russet, we have had to convince potato enthusiasts that it’s just a reproduction! 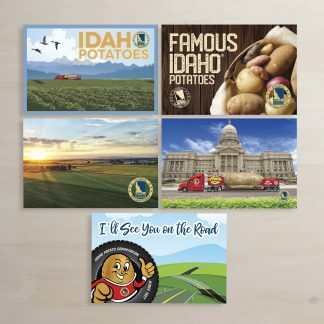 We inspired our client, the Idaho Potato Commission, to let us design, build and promote the world’s largest potato in celebration of their 75th anniversary. Complete with imperfections, bumps and potato eyes, this giant spud started capturing the attention of Idahoans from the moment of its debut at the Famous Idaho Potato Bowl at Bronco Stadium this past Saturday. At 12,130 lbs (that’s over 6 tons!) and 28-feet long, this spud has drawn huge crowds of people with their cameras since it emerged, literally stopping traffic and generating tons of interest and questions about where it came from and how it was grown! 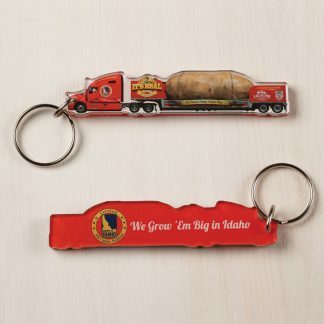 We may well be creating our own potato folklore to be passed down through generations about the largest spud ever grown in Idaho! 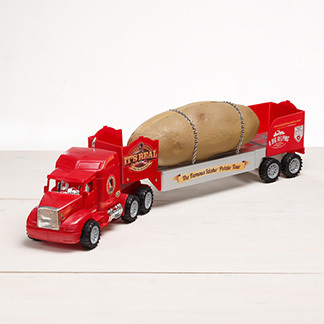 Next year the giant potato hits the road, on a custom-designed flatbed trailer, for a tour of the entire country. 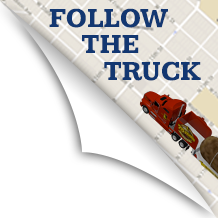 The traveling tater truck will make its way to the east coast and then back, ending the tour on the west coast, raising money and awareness along the way for Meals on Wheels. We don’t know how they would cook it, but if it was a real potato it would be the largest Meal on Wheels in history!